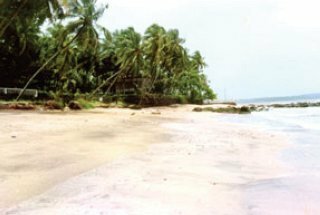 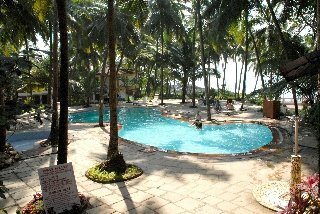 This holiday resort is situated right by the beach and affords a peaceful and relaxing atmosphere thanks to its luscious, green, tropical surroundings. 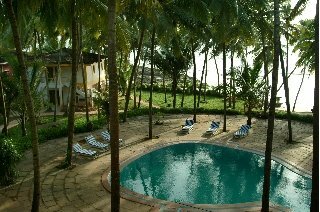 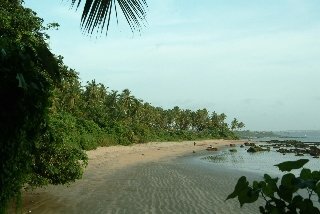 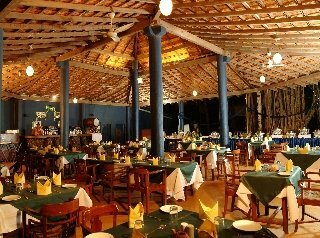 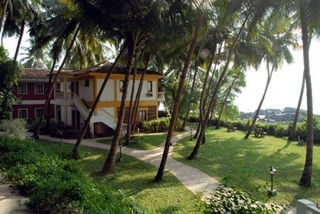 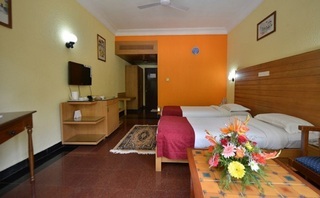 Bambolim lies roughly 7 km from Panjim and is suited as a point of departure for those wishing to view the nearby sights of Goa.The complex offers 126 rooms, 57 of which are in rustic residential complexes, 69 in the main block with shiny polished granite floors and completely modern fittings. 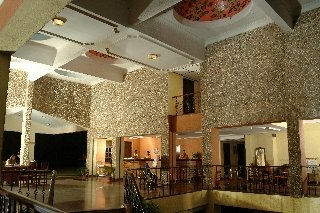 The hotel comprises a lobby, a bar and a restaurant. 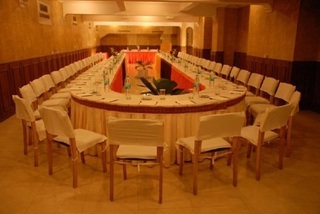 The air-conditioned hotel also includes a dance floor, conference rooms and is also well suited for business and social events. 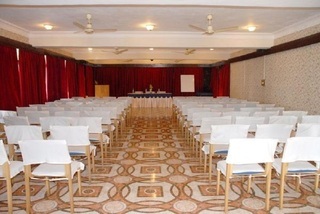 Two events rooms are available with all the newest technical equipment for conferences and seminars. 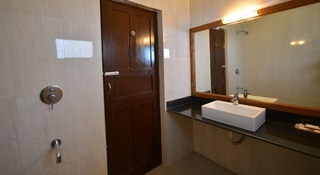 One of the rooms is named the Ocean Pearl Conference Hall and other the Oasis Conference Hall.The rooms have an en suite bathroom, a TV, a minibar as well as tea and coffee making facilities. 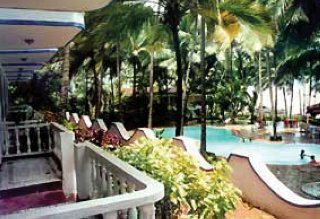 The air conditioning is centrally regulated.The local area offers a large selection of leisure activities ranging from lone walks in carefully landscaped gardens to water sports. 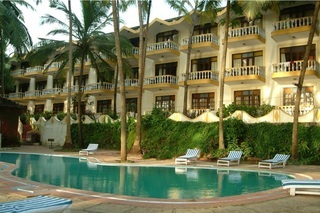 Water sports options range from swimming (hotel pool), beach volleyball, jet skiing, paragliding and diving. Further leisure activities include cricket, volleyball and tennis. 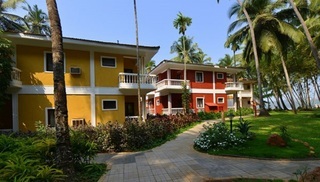 The resort includes its own health club with a gym, a Jacuzzi and a sauna. 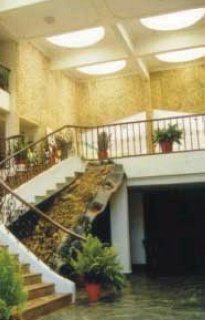 Regeneration and relaxation may be enjoyed with exotic and herbal creams at the Ayurveda massage centre under the leadership of a highly qualified team. 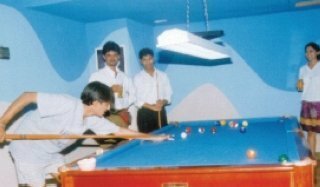 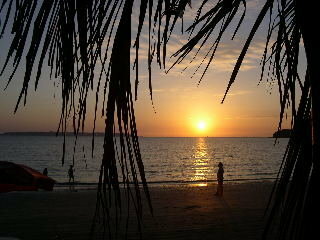 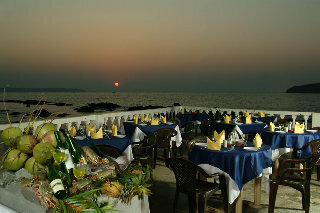 The beach resort also offers a variety of themed nights reflecting India's cultural diversity as well as national dishes.